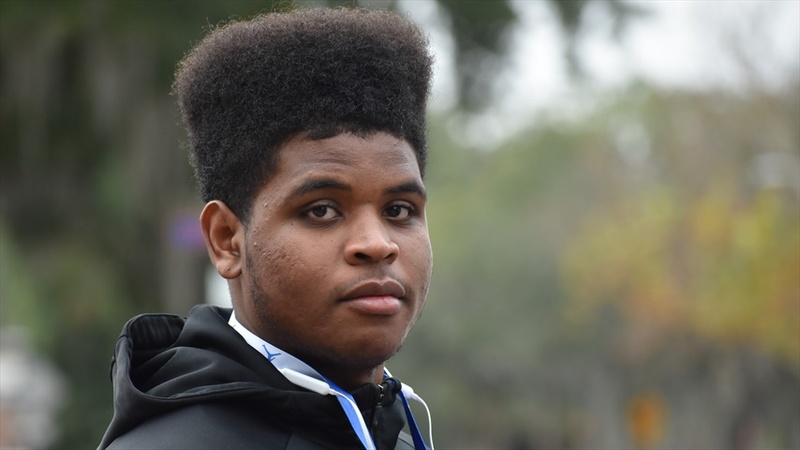 Pre-spring look at state of Florida prospect rankings Two days into the spring football evaluation period here in the Sunshine State, Inside the Gators takes a closer look at the top 50 prospects in the state of Florida. New Orleans (La.) Isidore Newman four-star outside linebacker Brandon Williams talks about his Monday visit to Florida and where he currently stands in recruiting. Former Florida Tight End Ben Troupe (2000-2003) shares 10 observations on Florida football after watching the Gators' Orange & Blue Game over the weekend. Tampa (Fla.) Jesuit tight end Jonathan Odom had great things to say about his weekend official visit to Florida - so much so that he says the Gators are guaranteed a spot in his final five. One of the standout underclassmen in attendance for Florida's Orange & Blue Game was Class of 2021 Naples (Fla.) Palmetto Ridge four-star athlete Kamonte Grimes. Here are photos from Inside the Gators to take you down to field level during Saturday's Orange & Blue Game.